These connectors are made from high-temp nylon with gold-plated spring pins or sockets molded in. The shape of this generic Dean Connector prevents reverse polarity, and when plugged in the connection is super-solid. Perfect for applications that require a high current draw, up to 65A continuous draw. 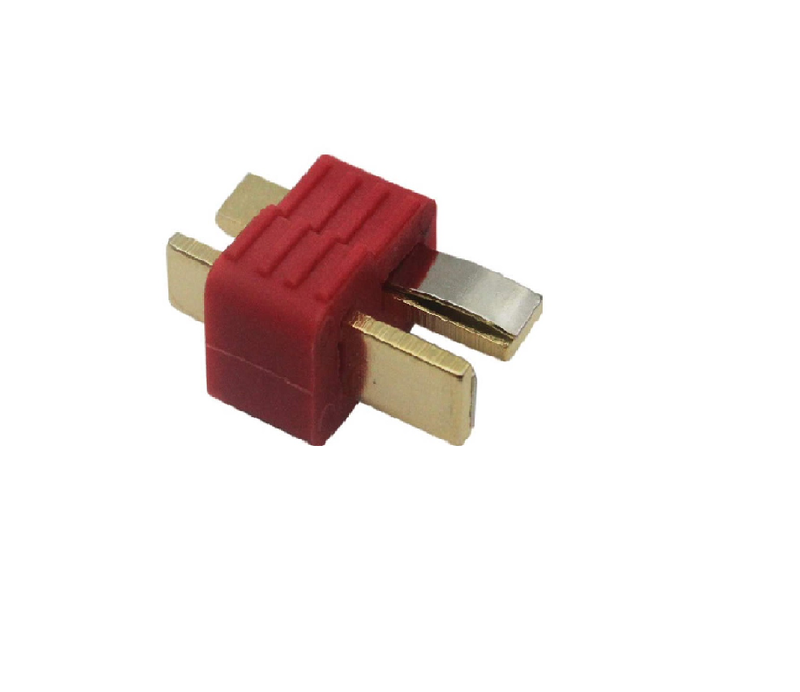 This connector is perfect to connect your RC and Robotics Electronics to a Battery. Made from high-temp Nylon and gold plated spring connectors, both included in the injection mold at the time when forming the connector. The Deans ensures a solid high-amp connection, perfect for applications up to and beyond 65A constant. Good resistance to Temperature & High Amp. Current. 1 x Nylon T-Connectors Male -3pcs.